We had ‘been there and done that’ in our corporate careers. Managed the largest businesses in the Document and Information Management (DIM) industry, acquired and integrated more companies than everyone else combined. It occurred to us that in an industry that has seen a lot of consolidation over the years, the industry sellers; the owner-operators who are the backbone of the industry, were not always achieving maximum value. The large strategic industry operators are serial acquirers and very skilled dealmakers, while traditional M&A brokers mostly came from the financial sectors and had never really run a business, certainly not in the DIM space. As a result, the strategic buyers had an advantage over buyers, whether they had representation or not. What if we could leverage our hands-on business experience, our industry connections and our extensive deal experience and help the industry operators achieve the best possible valuations when selling their business? Because we have been operators and serial acquirers ourselves, we know how to analyze, model and package a seller’s business in the most positive light, while knowing what each of the buyers is looking for, how best to fill their needs and achieve a win-win outcome. Since its founding in 2010, K-2 Partners has closed more deals than all other industry-based competitors combined. We have added associates and completed deals and consulting assignments on five continents and gained many satisfied clients. We have consulted to some of the largest Private Equity groups and acted as Subject Matter Experts in large industry transactions. 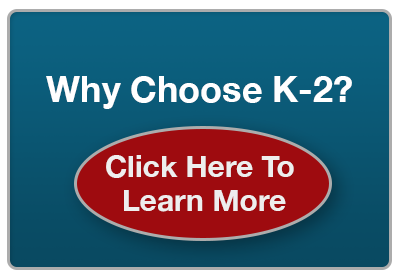 All members of K-2 Partners have a wealth of hands-on industry-based experience, spanning not years, but decades. Each one of us is laser-focused on the DIM industry. We understand the latest trends, maintain close networking relationships with the senior leadership of all of the strategic buyers and continue to play influential roles in the development of the DIM industry. As a result, our clients benefit from our skills, knowledge, experience and relationships. We tilt the playing field in their favor, we provide industry insights to financial investors and industry analysts and most importantly, we get deals done. So, how can we help you?